While ‘better’ is a subjective word, there are a plethora of things that you can do to improve your blog’s SEO for free, simply by using some basic tactics that don’t take very long to implement at all. Most of them are a matter of changing old habits and misconceptions. Below are three good starting points to make your WordPress blog more SEO friendly, interesting and ultimately more readable. The best part is that they are all things that you can start doing today. We recently touted the importance of using videos and images in blog posts, which can help your site rank higher. Be sure to title your images correctly, as we discussed in a recent post about image SEO. Adding other media to your website can increase functionality for your users and, more importantly, help them find you. Want to know how Googlebot sees your images and videos? View your website in Lynx, a text-based browser. The more you take advantage of video and images (within reason), the more readership you are likely to receive. 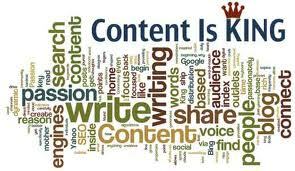 Yes, Millionairium has repeated this point several times, but when it comes to SEO and blogs, quality content is king. I really can’t stress that point enough and it is especially true for blog posts. Don’t write for search engines, write for what audiences will search for. Be aware, though, that blogs are often crawled faster by Google than websites themselves, according to Google Software Engineer Matt Cutts, who talked about the importance of noting that any change to your blog can help or hurt your site in big ways in the video below. The challenge is to continually provide engaging content for your specific audience. The shifting of audiences leads me to a great point made about the importance of remembering that your audience might change frequently and you need to be prepared, according to a recent article posted on Business2Community.com. It is important to remember that audiences change, depending on factors ranging from your competition to your field of business. CEO Ali Husayni agrees that targeted writing is key, and recently talked about the importance of knowing your competition. “If you are competing with strong rivals, you can have an advantage over them by simply writing and posting articles on your site’s blog on a regular basis. ‘Regular basis’ is a loose term – for some smaller businesses, writing once a month gives you that advantage. But the reality is that for most e-commerce sites, writing once a day may still not be enough. So, depending on your market, you need to decide how often you want to write,” Husayni said. Remember, these blog tips can help you tremendously, but to get to a top spot with Google and stay there, hiring an SEO expert is the best way to ensure that you take your business to the next level, according to Husayni. “You may not have the budget for a full-scale SEO campaign if you’re just starting out, but some time with an SEO consultant to get you started may be within your budget and well worth the expense,” Husayni said. “Call the office for a free consultation to find out.” Click here to contact us about our services. Yes! Content is the King! You don\’t have to be an SEO Expert, just keep the Quality high.